The cosmetic world is officially spring and I am busy admiring the pastel flowery shades popping up everywhere. In reality, however, it is obviously middle of the winter (not to mention we are expecting another snow here in the NYC) and my daily color story still consists of dark neutrals and browns. 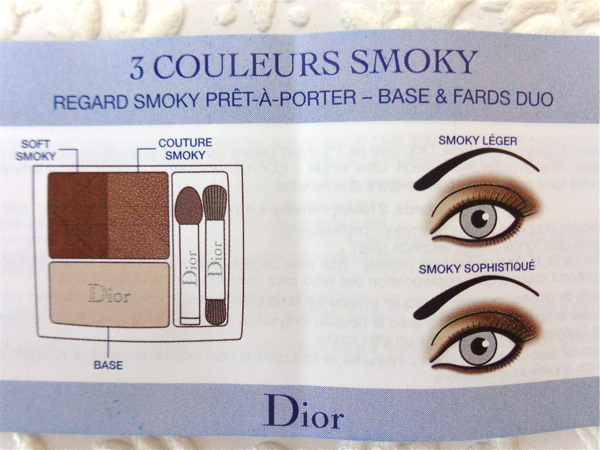 I have been reaching for the Dior 3 Couleurs Smoky Eye Palette Smoky Brown (781) very often lately. 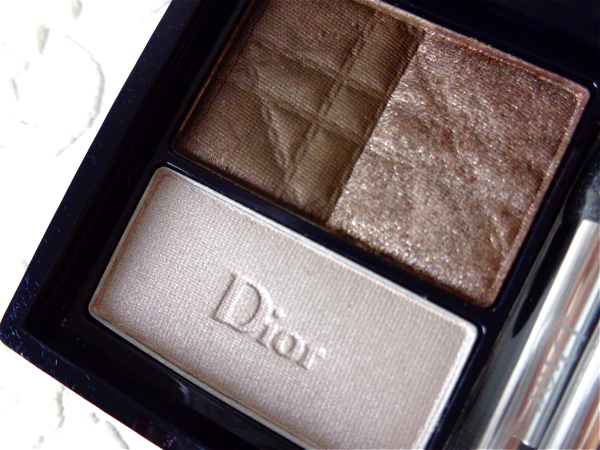 I am a big fan of Dior eye shadows and I thought the shimmery taupe color (Couture Smoky, marked no. 3 on the plastic) would be a good backup for my Chanel Vega of which I recently hit pan. I can't really justify it was a "necessary" purchase because, as you have guessed, I have so many neutral brown and taupe shades waiting to be reached from my bottomless stash box. I won't say I wasn't attracted by this cool "sliding" case. Yes, the top slides and the mirror part gently flings open. and Silvery satin beige (Base 1). I would say the texture of all three shades is Dior standard. The shimmery taupe feels softest to touch and goes on very pigmented. The light beige is firmer but has this incredibly even texture. The matte shade is not as pigmented and hardest in texture that it reminds me of some of the NARS eyeshadows. The color goes on sheer yet evenly. You can find more information HERE (from Sephora), but this eyeshadow trio is basically designed for easy foolproof smoky eyes. It suggests applying the base color all over first and creating depths using either matte shade or shimmery shade for different tone of brown smoky. There is nothing wrong with this kindly provided instructions, but I don't exactly follow them. I still use creamy pencil base to add more depths and find the base color more useful as a highlighting shade. The first option for "soft smoky" works very nicely when paired with more pronounced lip makeup, but with added dark base, it creates another dimension of deep matte colors which I find quite attractive. Is this a must-have brown palette? Probably not especially if you have a good number of neutrals and browns. However, I would highly recommend this particular color, Smoky Brown as well as checking out other 3 couleurs Smokey Eye Palettes if you're looking to build a quality collection of basics. I myself would be much more content with these three shades than with all twelve from, for example, Urban Decay Naked. Anyway, I am adding a NOTD pic which perfectly complements the brown smoky eyes created with this palette. one of the prettiest oxblood with a perfect balance between red and brown. Have you embraced the brighter spring colors, yet? How many shades do you usually require for a good smoky eye look? Gorgeous! I completely see all three shades being beautiful together or separately! I usually use browns as a base and use some other colors on my lid but yesterday I finally did an all brown smokey eye which was so lovely and such a nice simple look! I always have lots of bright shades of polishes in my collection and will be whipping them out! Oh, I haven't really though about adding other colors on top of browns. Thanks for the ideas! Actually, Dior eyeshadow are very good value if you calculate by the gram. Some are better deal than MAC, for example. I adore Dior eyeshadows and I have at least 5 quints in my stash. I highly recommend them. I've been wanting this, but I always remind myself I already have lots of browns and taupes. Then again, it's Dior! I love my Diors :-) I'm still staying strong, so I think my persistence to resist will prevail! Well, I admire your resistance! And judging from what I have seen your stash shopping series, you're right that you have more than enough beautiful alternatives. Very, very pretty! I agree that it's probably not a must have for beauty fanatics like us with probably HEAPS of neutral palettes/trios/quads/whatevers in our drawers, but it's a pretty travel palette and I can imagine a lot of women who don't stack up on eyeshadow might want this one for easy peasy neutral looks. I am a fan! And I totally agree this is so travel friendly and I can easily include this in my cosmetic pouch. ooh! I can comment now! :) I think we can all testify to a much needed unnecessary neutral brown/taupe purchase. Those are always the colors I want to hoard. 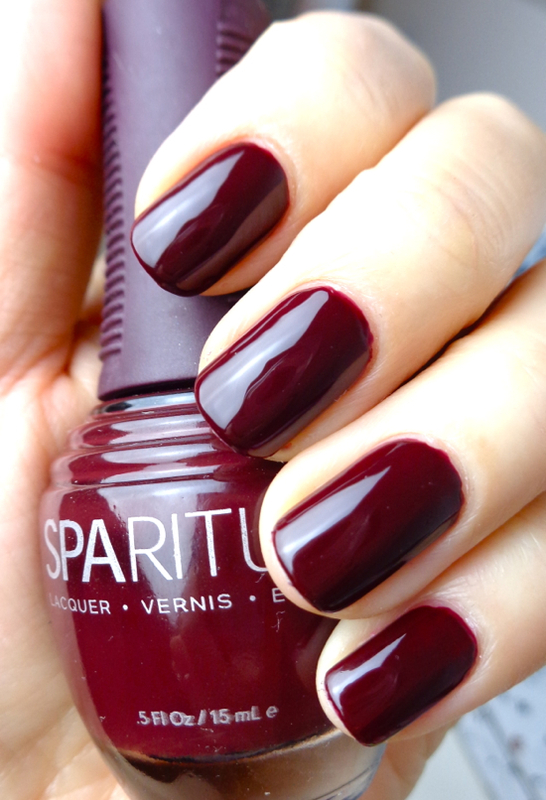 Smart Cookie looks wonderfully glossy & rich on your nails! Yay! Maybe it is a good thing that the Google+ box broke down. Cookie!!! :D :D :D I love that polish color! I agree - prolly not a must-have, but it's easy to pull out a quick look with, and that's always worth something! 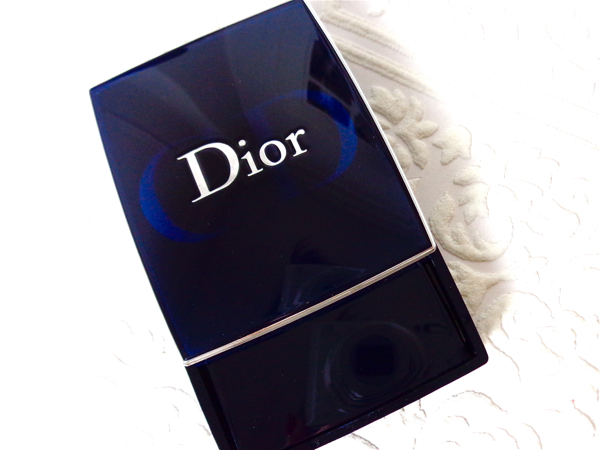 Plus, doesn't the Dior packaging just make you smile in the mornings? Worth it! LOL. This cookie is nothing like that abomination of all cookies I ate this morning (it tastes like a twig, btw.). I like it! I like pretty easy palettes like this actually and prefer them to big ones with loads of shades. I want to seriously do some purging this weekend and get down to the stuff I really use and like and most of it is stuff like this! I have been purging a lot lately, too! So helpful and organizing itself kinda helps me to anchor down! Omg.. the packaging and colors of the Dior palette is so pretty! Aw, I would have picked Khaki for you as well! I'm not much into khaki myself, but the trio is so well done I want to have all of them. A girlfriend was recently talking up CD eye shadows and I'm quite sure this palette was she was raving about. The colors look really wearable and how pretty is that packaging! Loving the trio of shades in this palette, I can totally see myself grabbing this a lot too. 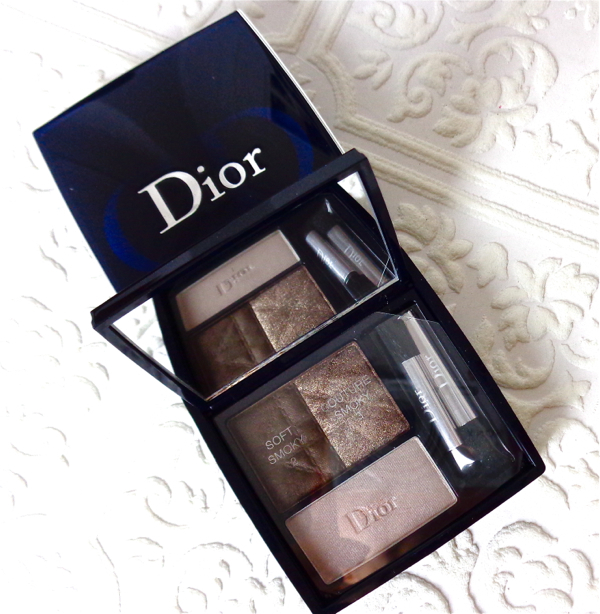 Dior palettes are so pretty! And Smart Cookie is a gorgeous colour! A total basic but in awesome quality. Gotta love something like that, right? What a great combo of colours! I've never tried a Dior palette, but they're definitely tempting. Dior eyeshadows are very good value, actually. Depending on where you buy it, sometimes they are cheaper than MAC. Such a tempting, beautiful brown palette Lena! ♥ My neutral proclivities are shaking to the core! Must resist! LoL. I really don't think this is a must if you already have lots of neutrals, but I wouldn't stop you, either. 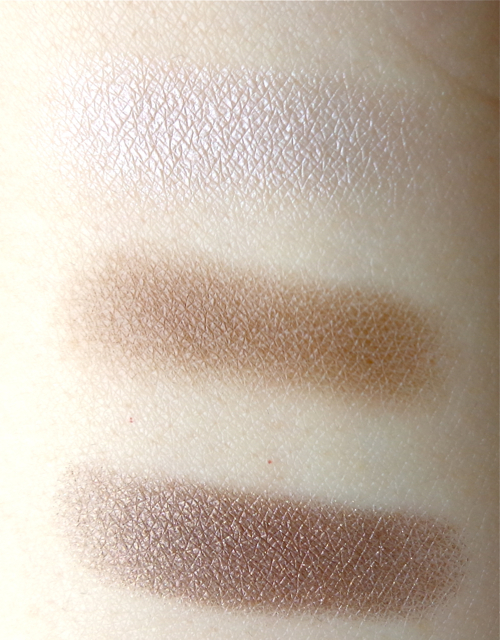 The Dior Smoky Brown Trio is so pretty --- what a great neutral palette; it seems quite practical as well! I have such an interesting relationship with dior shadows. I love the texture and colors, but then they always end up looking bit weird on me. Maybe because I have mostly shimmery colors in my colleciton. The soft smokey does look like something that is very wearable. Regardless, I think I will give Dior palettes another try if I can find less shimmery more matte colors.